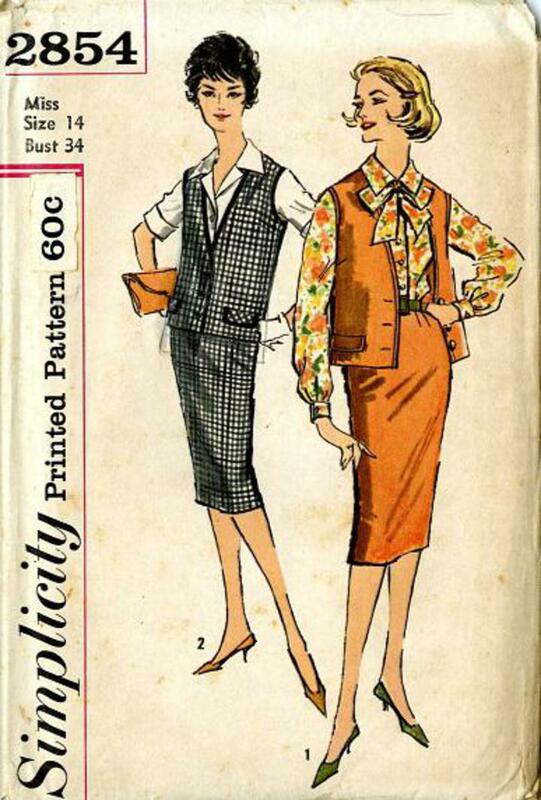 1959 Simplicity #2854 vintage sewing pattern, misses' blouse, slim skirt and sleeveless jacket. Blouse has a notched collar, set-in sleeves and button front closing. V. 1 and 2 have slim skirts with waistline darts and back kick pleat. 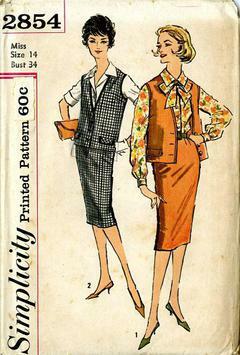 Matching sleeveless jackets have low V front neckline and button closing flaps.